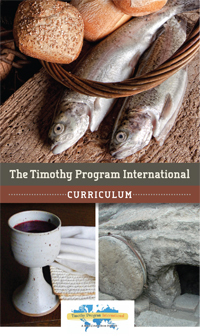 The Timothy Program is a distance learning, directed Bible college curriculum. All undergraduate and postgraduate programs are accredited by: Accrediting Commission International. A course of study covering important themes of the Bible. It is a Bible college program designed to raise up “priests” in the home, and train Church leaders world-wide for ministry. A course of Theological Bible study which prepares Church Leaders by offering licensing and ordination, and prepares Professors for teaching ministries in colleges and seminaries. Postgraduate Programs are fully accredited 3-year research programs offering “Master” and “Doctoral” degrees in “Biblical Studies” and “Theology.” These graduate degrees are designed to publish each student’s work in their own country. It is a program designed to equip ministers for leadership. Inside the United States of America, the Timothy Program is also a school of discipline for the Biblical Life College and Seminary of Marshfield, Missouri. Through BLCS, TPI is accredited by: American Federation of Christian Colleges and Schools; The Western Collegium of Bible Schools; and, Accrediting Commission International. The Timothy Program’s distinctiveness among Bible colleges and Bible schools is that it is home-based, international and Hebraically based in study method, subject material and professors. The Timothy Program believes that the Bible should be studied in its original languages, culture, geography and history. The Timothy Program in no way discriminates in regard to ethnic origins, culture or financial matters. We offer our curriculum as a fountain of living water to all levels of interest. Our goal is the restoration of the family. We love and value the entire family of God! The Timothy Program takes it’s “homiletic” (presentation of God’s Word to God’s people) from Ecclesiastes 12:9-14. We believe with Solomon that the conclusion of the whole matter is to “Fear God and keep his commandments, for this is the whole duty of man.” Therefore, we train our students to make their preparation and delivery of God’s Word conform to God’s requirements. The Timothy Program prepares students to deliver God’s Word in a manner which motivates (goads) God’s people into action while at the same time making them feel secure (firmly embedded nails). The Timothy Program believes that Jesus is God’s Word and that all Scripture, both the First Covenant and the Second Covenant, is Divinely inspired and authored by God’s Holy Spirit. Therefore, all lessons taught by any man from God’s Word have been given to that man by one Shepherd – the LORD Himself. Nothing should be added or taken away (Deuteronomy 4:2; 12:32). In that spirit, we train our students to present God’s Word according to the outline of Ecclesiastes 12:9-12.